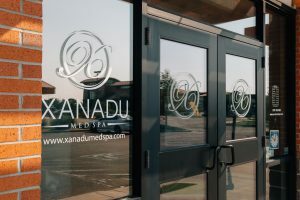 Thank you for your interest in a successful career at Xanadu Med Spa, the premier medical and day spa of Fort Collins. We are always looking for great talent to join our team. We’ve built our business – and our reputation – on hiring great people, offering exceptional quality services, products, safety and continued education. We hire experienced – as well as new-grad – apprenticeship aestheticians and massage therapists. Quality, experienced medical service providers with a strong passion for providing results-oriented, medical-grade services and products are also welcome to apply! Xanadu offers detailed and intricate training programs, ensuring professional success for driven individuals with a polished drive for achievement, excellence, and integrity. – A beautiful, high-end facility. – Discounted products and services. – A commitment to quality (services, products, and people). – A commitment to continuing education. If you are looking for a challenging opportunity with a fantastic company, send us your resume at the address below. We look forward to hearing from you! Please send your professional resume, cover letter, and headshot to us at JoinUs@XanaduMedSpa.com.